Howdy family and friends of Leviim ‘17! We can’t believe there is only one week left of first session, the summer has been flying by so quickly! Luckily, Leviim ’17 has been staying quite busy. Thursday was a bit overcast but that didn’t stop us from learning the hand motions to Shir Yisraeli for Zimriyah! Our aydah is particularly enthusiastic about Zim which has allowed us to learn everything very rapidly! The banim had yoga in the afternoon and the banot had daglanoot (flag dance) which they performed last night at the Tekes Yom Yisrael (Israel Day Ceremony). Our evening peulah on Thursday night was a chinuchit (educational activity) about perceptions of Israelis versus Americans. The chanichim split into groups to draw life-size stereotypes of how Americans perceive Israelis and vice versa. This prompted very interesting conversations about the core differences of the two societies and the role Jews of the diaspora play in the existence of the State of Israel. We ended the evening watching a video from an Israeli TV show depicting Birthright that everyone had a good laugh about! Friday was our first day of the summer meltzing! 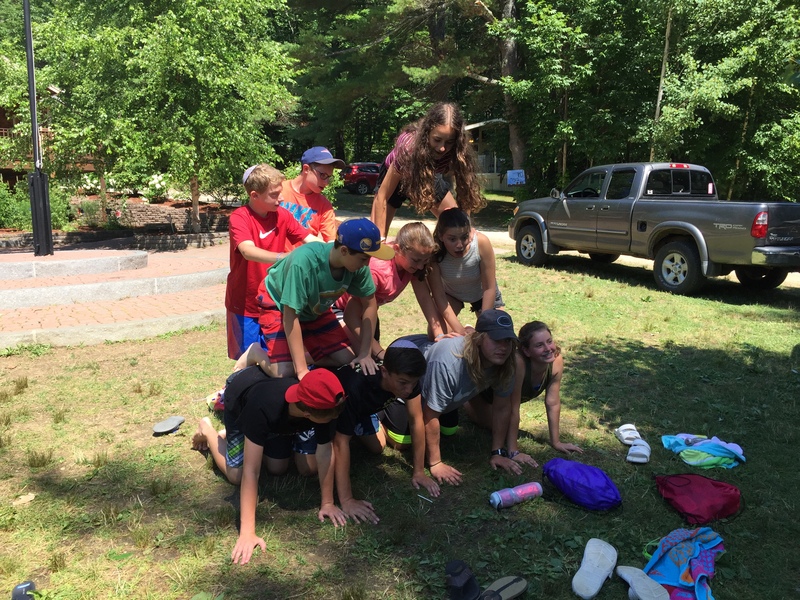 Every summer, upper campers have the opportunity to give back to Yavneh by acting as waiters and waitresses during meal time. Our two meltzing shifts, composed of half the aydah each, are named Albany and Boston after the hometowns of Ravi and myself. 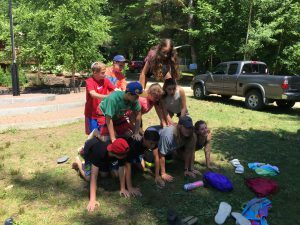 Working together on a common goal is great for enhancing the unity of our aydah and teaches the chanichim real life skills! 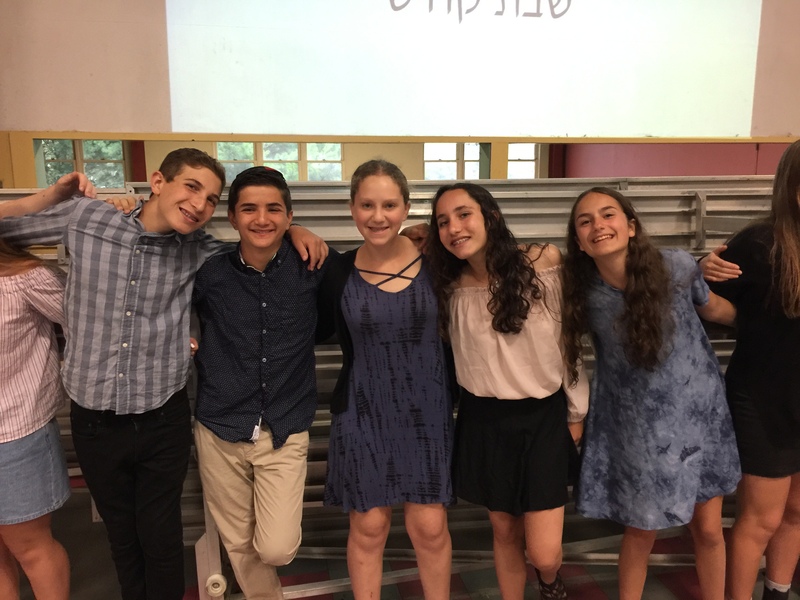 We had our first Friday night Kabbalat Shabbat outside this Shabbat which set an amazing tone for a relaxing weekend together. 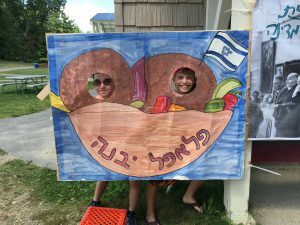 Sunday was Yom Yisrael and in addition to the banot dancing in the tekes, the banim decorated an Israeli flag to be featured. We spent the day making pita, learning about Israeli cultural dilemmas and enjoying an authentic shuk (market) experience! Looking forward to an incredible last week of first session!